We must have looked as pathetic as we sounded when the Dutch woman stopped her bike to help us. Though we successfully made it out of Amsterdam on our bikes, onto and off the train at the right stop, we still got lost as soon as we exited the station, and had been lost, for hours. Our bike map showed numbered trails, but the trails themselves were not numbered! The woman escorted us out of the city, through sheep pastures and over canals, to our first destination, offering the futon in her home as an alternative (so doubtful was she of our ability to survive beyond her guidance). She was the first of innumerable Dutch hosts to aide us in our journey: a multi-generational bike adventure to discover our voices amidst those of our global sisters. My 68-year old mom, 13-year old daughter, and myself (age not important) were concluding an epic year I dubbed the Becoming year. 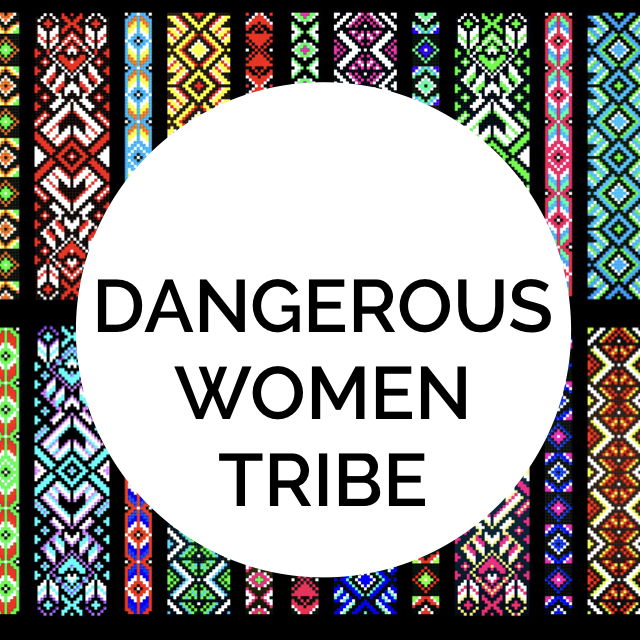 We journeyed through stories of women, past and present, stories of strangers, heroines, and our own, to learn how women lead, love, fight, sacrifice, and create. We framed our year around Hagar, the sister who named God El Roi, the God who sees. The sister who was asked, where have you come from and where are you going? We came to bike the Netherlands to embrace the metaphor: as every girl is launched into womanhood, where are you going is an essential question. But we also came to immerse ourselves in sister stories of strength and weakness. For does not Hagar exhibit both strength and weakness at the well when the Angel of the Lord asks her to return to her abusive mistress? Do we not all, often, exhibit both strength and weakness? I figured that a people who produced Corrie Ten Boom and Anne Frank had many more strong women to discover, but I also knew about the work going on in the infamous Red Light District. 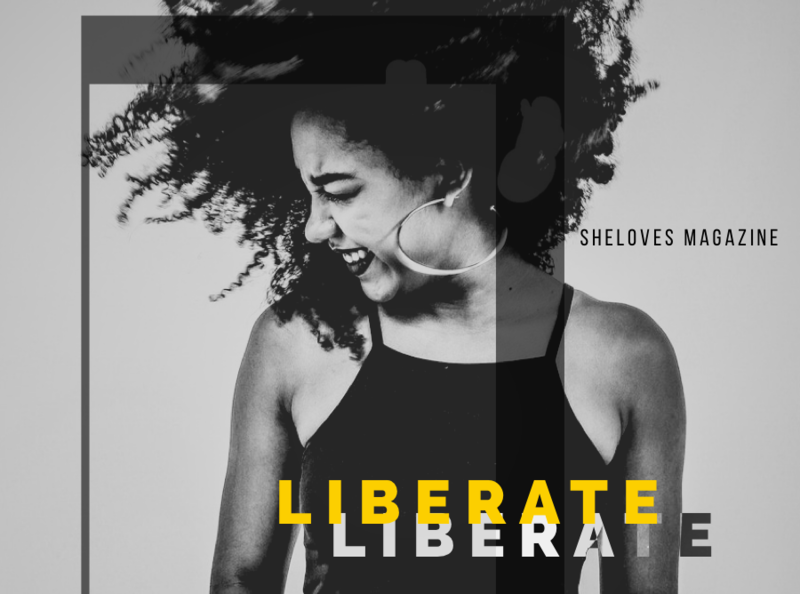 Work to empower and equip survivors of trafficking with marketable skills. Beautiful work to embrace weakness and develop strength in men and women who also had abusive masters. As strong women raising strong girls, we need to cast a vision of the greater story God is telling through his daughters. If we were truly created in his image, then we should see similar qualities in women throughout time and throughout the world. We went looking for some in Holland. In Gouda, we stayed with Jet. In her narrow home, we “climbed” stairs that more closely resembled a ladder, to the 3rd floor of rooms. These were for the guests, open for just a brief time before a Cambodian family came to resettle. One was already occupied by an exchange student. Over a lingering breakfast, we learned of Jet’s work to end trafficking in Southeast Asia, her commitment to developmentally disabled children as a school teacher, and the delight she takes in hospitality. In Jet, we celebrated how women create life and beauty from their gifts and passions. In Haarlem, we retraced the steps of Corrie Ten Boom’s hiding plan. We paused in her bedroom and imagined 6 adults squeezing behind the fake wall. A courageous heroine to be sure, willing to sacrifice her own life, but truly one of many. The Dutch Resistance Museum tells the stories of hundreds of women who sacrificed similarly. And we saw, sacrifice is a movement of intentional strength to yield life. As we ask daughters where are you going, let us invite them to a global sisterhood. As we usher girls to womanhood, let us be clear about who they are joining. They are joining a legacy. They are joining a storyline of femininity alongside El Roi, who has seen, does see, and will see. May I ask, Do you see? Do you know where you’ve come from? Do you know where you’re going? Have you embraced the journey of becoming? 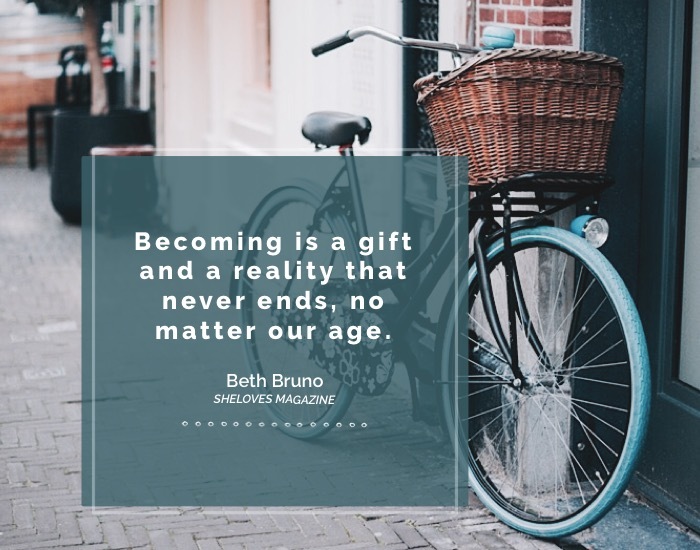 If there’s one thing my mom, daughter, and I learned while perpetually lost among sheep and cheese, it is this: becoming is a gift and a reality that never ends, no matter our age. We are so thrilled to have one copy of Beth’s book to share with our readers. Share a comment on this post today until Monday at 10pm. 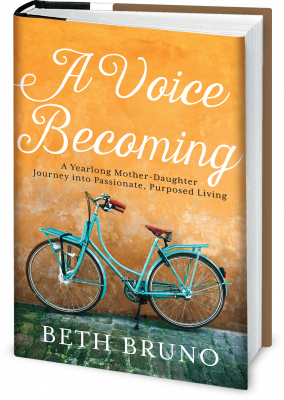 (January 18—January 22, 2018) and enter to win a copy of A Voice Becoming: A Yearlong Mother-Daughter Journey into Passionate, Purposed Living. 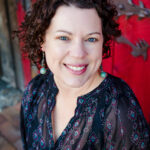 Beth is an activist, author, and speaker, working to empower a new generation of women. Her first book, A Voice Becoming: A Yearlong Mother-Daughter Journey into Passionate, Purposed Living (Faithwords, January, 2018) calls moms to invite their daughters to join a global sisterhood. She founded and directs a non-profit to prevent human trafficking locally and raises 3 teens with her husband in Colorado.